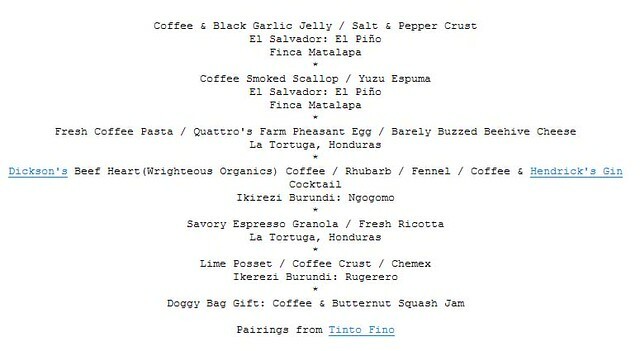 Finally found a menu worth throwing down money for.....coffee as an ingredient in all 5 courses? Intriguing. ....but then BigLITTLE unfortunately had to cancel. Sad face.